The United States is taking the lead in an international coalition aimed at repelling and defeating the Islamist extremists marauding across parts of Iraq and Syria. More than 40 countries -- mainly Western powers or Middle Eastern allies -- have committed to form a bulwark against the movement, the State Department said, although it has only named 25 of them. The United States has conducted 148 air strikes against IS targets in Iraq since August 8 and it has more than 800 military personnel to safeguard its Baghdad embassy and to assist Iraq's army. Major partner Britain says it will ship £1.6 million ($2.6 million) worth of heavy machine guns on Wednesday to Kurdish forces fighting IS in Iraq. It is also considering providing training to the Kurds. French President Francois Hollande announced at NATO that France would participate "in accordance with international law" and at the request of the Iraqis. Few details have emerged other than Paris already delivering weapons, but a diplomatic source said it would be "logical" that France participate in air strikes. Canada has authorized a 30-day deployment of "several dozen members of the Canadian armed forces" to help advise and assist Kurdish forces. Australia's military transport planes have delivered weapons to Kurdish forces. Canberra insists it will not send combat troops to Iraq, but in a Tuesday interview with ABC radio, Foreign Minister Julie Bishop suggested it may send military trainers and advisers. Germany said it will provide military equipment and aid to Kurdish forces. Italy is slated to send military equipment to Kurdish forces Wednesday. Albania has provided military equipment to Kurds, Estonia is donating one million artillery shells and Denmark's parliament has authorized its planes to resupply Iraqi and Kurdish forces. Poland has offered military equipment to Kurds and delivered tons of assistance to Christian and Yezidi refugees via its C-130 aircraft. On Monday Defence Minister Tomasz Siemoniak said Poland was waiting for the unveiling of US strategy before formulating next steps. The Philippines is prepared to "do its part" in an alliance, Foreign Affairs Secretary Albert del Rosario told AFP, but no further details were given. Finland, Hungary, Ireland, Italy, Luxemburg, New Zealand, South Korea and Spain have also pledged assistance. A crucial element to the coalition are Arab and Gulf states, and US Secretary of State John Kerry headed to the region to rally allies. He visits Saudi Arabia on Thursday where he meets foreign ministers of six Gulf states plus Egypt, Jordan and Iraq. Gulf oil monarchies, fearing jihadist threats at their doorsteps, announced their opposition to IS in August, and await details of Washington's strategy, which Obama will announce Wednesday. Qatar -- which furiously denies reports it has funded IS causes -- could play a vital role. Its Al-Udeid Air Base hosts Centcom, the US military command responsible for the Middle East and Central Asia. Regional US ally Egypt said it will support Washington's efforts to repel the IS, but Cairo's involvement "must be under a UN mandate," an Egyptian foreign ministry official said. 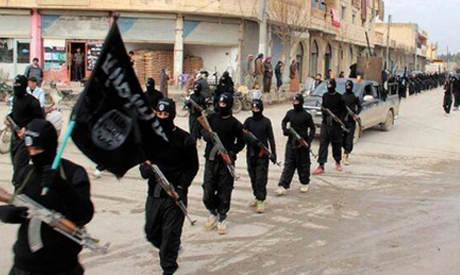 The United Arab Emirates said it was prepared to join in a sustained effort to confront IS.